Today, November 1st, Mexico and Latin America celebrate Dia de los Muertos, a beautiful holiday centered around honoring and remembering the dead. 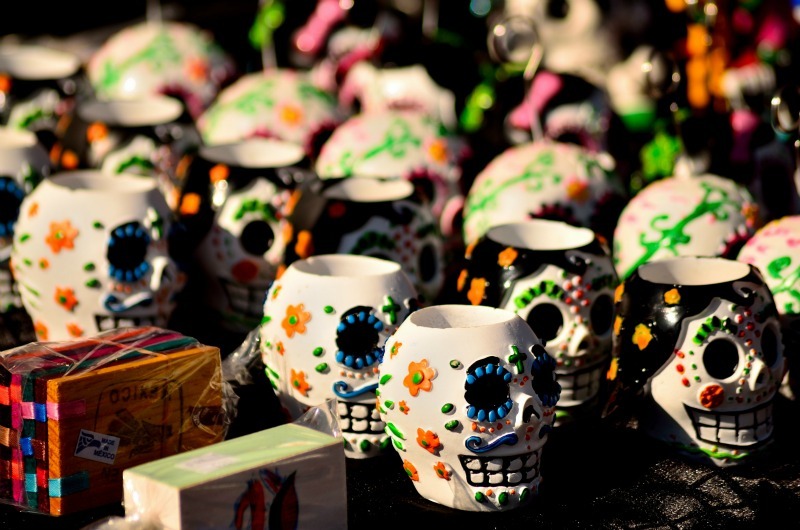 Well known for elaborate costumes, skeletons dressed in their finst, and brightly colored, intricately painted skulls, it is a day steeped in traditions dating back to the time of the Aztec Empire. 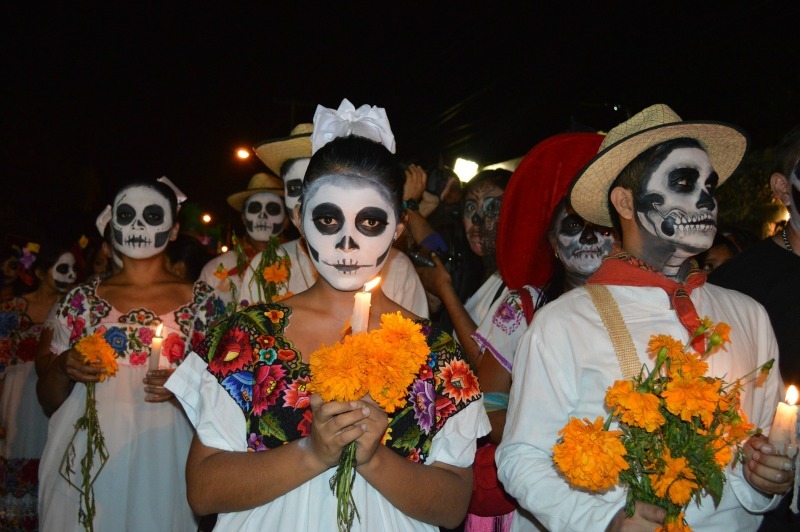 The dead are celebrated through dance, food, drink, and community gathering. They are welcomed with places set for them at the table, altars, and believed to be as much a part of the festivities as the living. 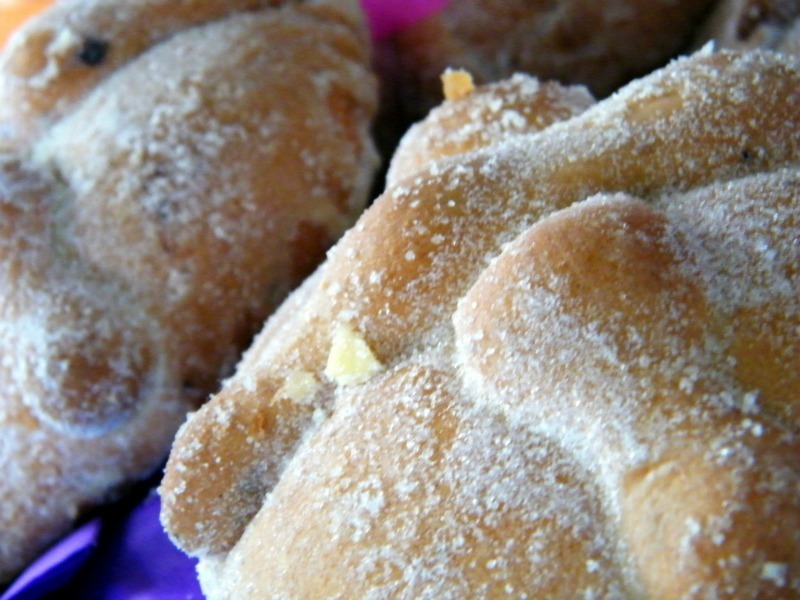 Traditional foods include tamales, sugar skulls, pan de muertos, and an offering of the departed's favorites. Facepaint depicting skulls and skeletons is an enormous part of the day. Throughout the streets, in homes and businesss, a beautiful reverence for the deceased is felt. 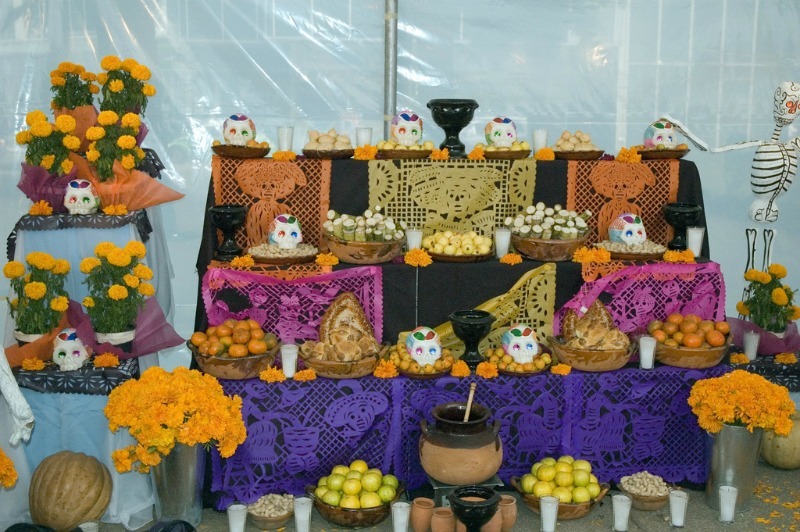 Dia de los Muertos is a collective celebration as much as a personal and familial one. It's ancient traditions provide a sacred connection to the past and to loved ones. We wish all our friends who will be celebrating today a safe and fun Dia de los Muertos!